Almost every shaper has a similar story; it all starts with catching that first wave and the rush and thrill of moving with nature as one. 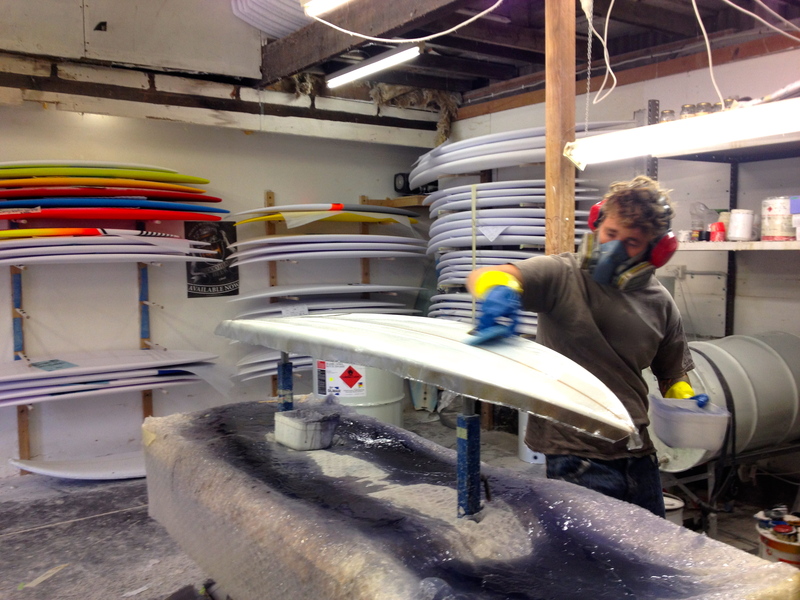 For some that’s as far as it goes, but for others like South Coast Shaper Cheyne, it develops into the science behind the thrill, how it all comes together in fibreglass and resin, millimetres and grams, fine lines and angles. This is the mind torture and inquisitiveness that put the shaping tools in Cheyne’s hands. It all started with the influence of his family when they were living on the coastline of South Africa. Leaving South Africa in the 1980’s Coming from strong surf roots it was inevitable that this transition from everyday surfer to surfer/shaper would evolve. Like most Shapers, Cheyne started shaping for himself honing his skills and eye in on a series of trial an error developing his craft. After years of dust covered nostril filled days and long cross-eyed nights staring down the rails whilst sanding boards he now finds himself working along side world renowned shaper and big wave surfer Dylan Longbottom. Cheyne has a strong following on the Illawarra coast with crew eager to get there hands on his shapes ranging from a wide ranch of crafts from Fish, short boards, twin fins, Epoxy, Big guns, tow boards, and right up to high performance Malibu’s. All tried and tested by the shaper himself. The boards that he has shaped have been a journey through the key moments that have influenced Cheyne both as a surfer and a shaper. His craft is as artful as any painting, and his amazing attention to detail and finish is second to none. As a shaper there’s nothing better than the thrill of hearing & seeing a CLS surfboard rider relishing their ride. Cheyne thrives off your feedback and enjoys the journey of tweaking, modifying and perfecting shapes. It doesn’t just stop there. Cheyne is constantly dreaming, creating, and racking his brain about diverse modern & revamped concepts. Using only the highest quality materials alongside a fantastic glass & sand finish, the product line is controlled by Cheyne himself from start to finish so that CLS craft will provide the surfer with the ultimate surfing experience.